Combining classic style with a sleek modern look, the Jose Twin Full Bunk Bed is made for today’s youth. 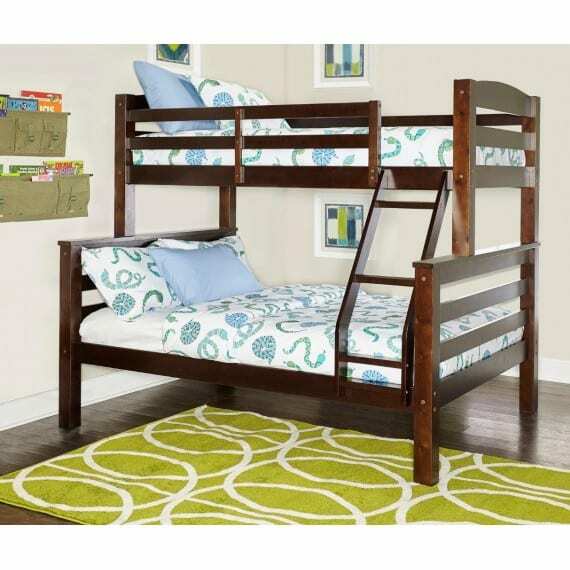 The bunk bed is made of pine wood and offers extra room for guests or siblings, featuring a twin bed over a full bed. The headboard and footboard have a curved slat detail with sturdy square posts. The ladder is built-in and the heavy, duty slats will support a mattress without needing a bunkie board. Made to withstand, the beds have a 400 lb static weight limit for each bunk surface. Espresso finish.